Abstract: Functional gene knockout is an important tool for understanding a gene's role in a system or for specifically manipulating a known system to achieve a desired outcome. Not all gene cleavage events result in functional knockout of the target protein. 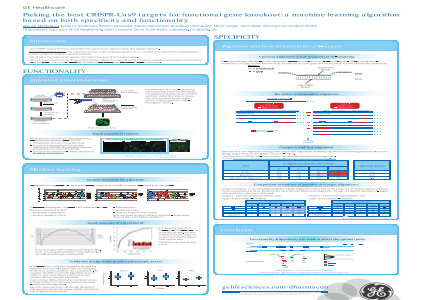 Here we share important advancements that have helped to achieve the goal of picking the best crRNA targets for functional gene knockout, and not just formation of indels (insertions or the deletions of bases in the DNA).